YANGON — For his first ever solo show in Myanmar, artist Nyo Win Pe wants to bring earthly happiness to his viewers. 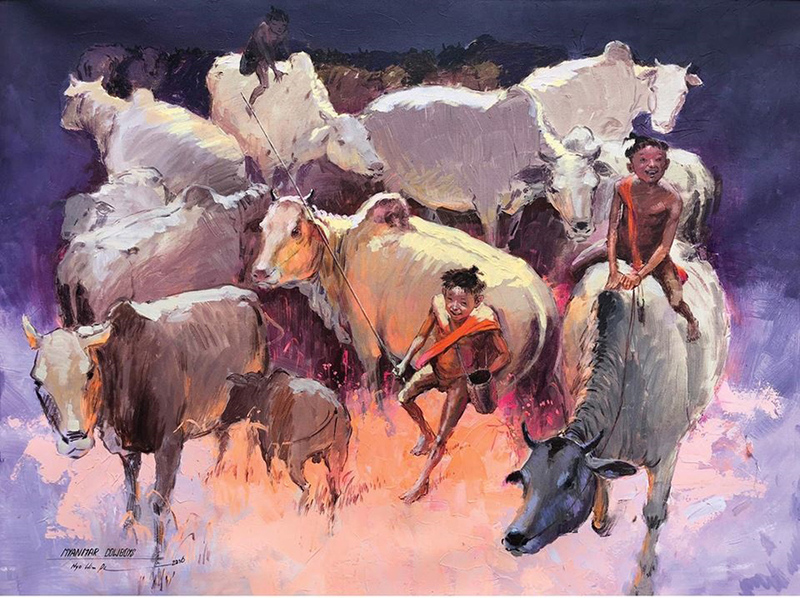 His paintings depict the simple life of rural Myanmar — village pagoda festivals, novice monks, buffalo herders, bazaars. Besides his artistry, what is distinct about his work is the big smiles on the faces of his characters, which can make some viewers forget the hustle and bustle of urban life, even if just for a while. 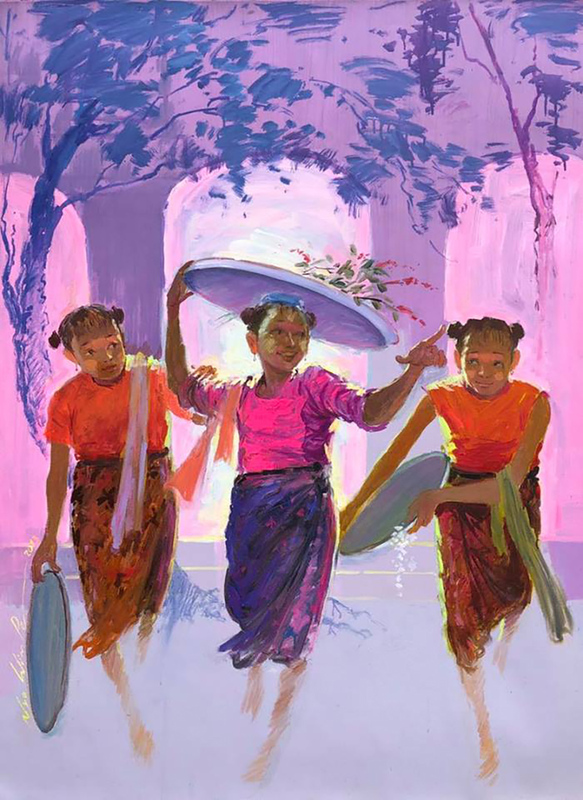 “All the paintings feature Myanmar tradition and lifestyle, but the composition is unique to each painting. For example, in my painting of a pagoda festival, I managed to highlight what is in the hearts of many revelers,” said Nyo Win Pe. 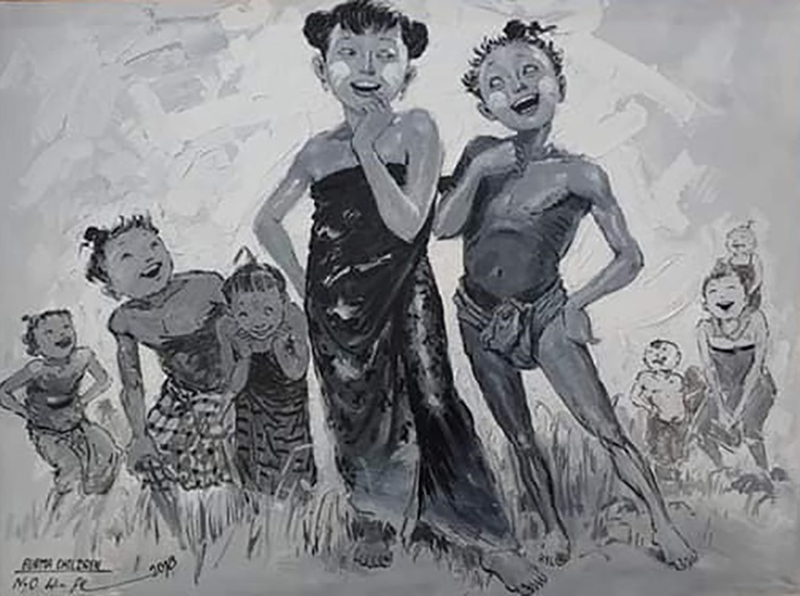 The Yangon-born artist graduated from the Mandalay University of Arts and Culture in 1972, and started his artistic career as an illustrator. Nyo Win Pe’s style is distinct in color and composition, for which he has gained popularity among art fans. The exhibition will be held through Tuesday at the Lokanat Galleries in Yangon. The 20 paintings on display are not for sale. 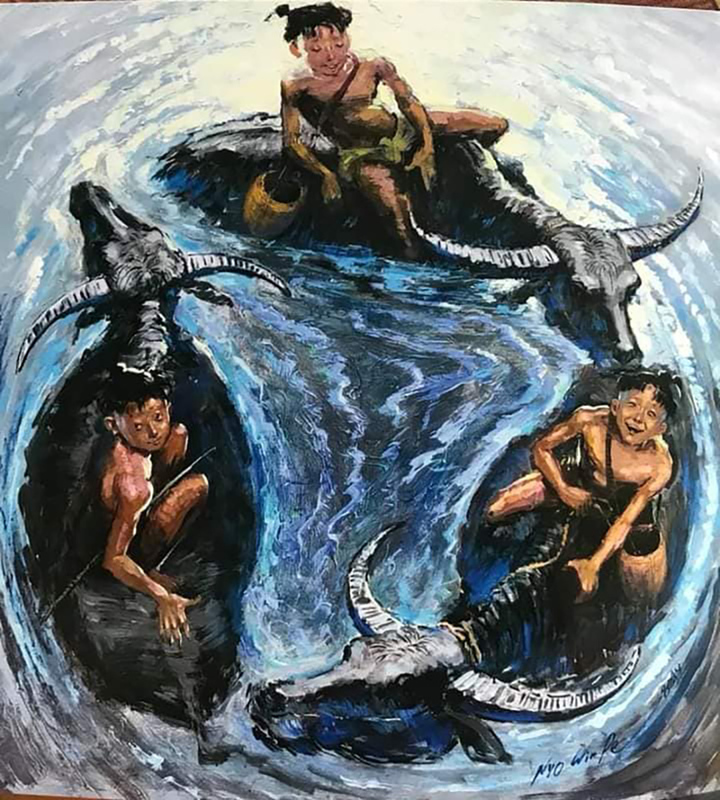 He held his debut art exhibition in Thailand in 2016, and his works have been showcased in international art fairs in the United Arab Emirates, India, Monaco and Singapore. “As I have only posted [photos of] his paintings on Facebook, many have not seen his works in the real world. And because he hasn’t held an exhibition in Myanmar, I’ve organized this. Though his works are mainly about Myanmar lifestyle, they are modern,” said curator Ko Sid. “He doesn’t draw characters from photos, but out of his imagination. That’s what I like most about his artistic skills,” he said.